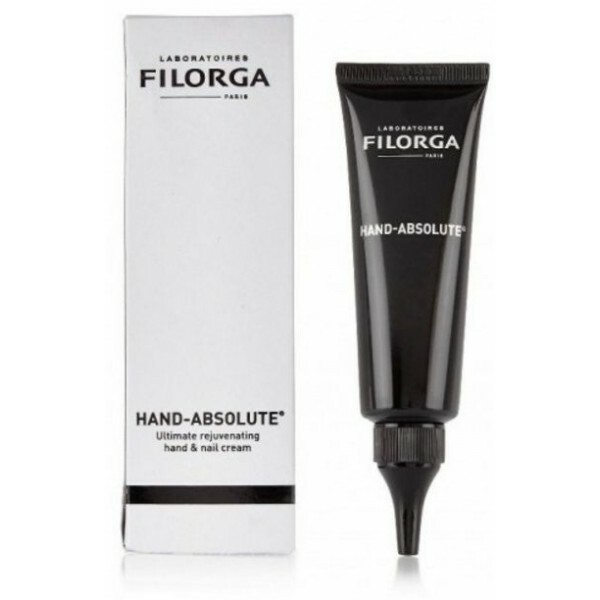 Absolute Hand Cream Filorga hands and nails 50ml. 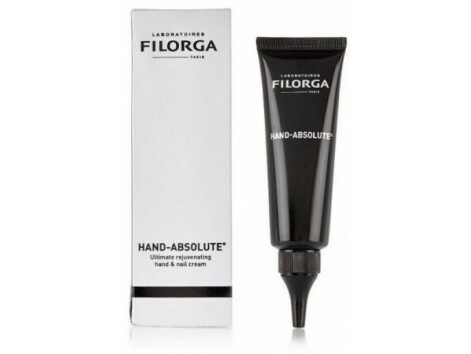 Hand-Absolute Filorga Hand & Nail Cream 50ml. Hand-Absolute is the hand cream Filorga laboratory indicated for dry hands, damaged, stained or aged, brittle nails a manicure aging in just 30 days. absolute -Nutrition: select a restful butters complex built in a unique and ultra-absorbent sensory texture deeply nourishes the skin without leaving a greasy film. comprehensive -Antiedad: a trio of hyaluronic-acid active, collagen, lipopéptido- smoothes, firms and redensifica hands in a single gesture to visibly rejuvenate. -Homogeneidad perfect: an exceptional Sea lily extract lightener fights stains, brings uniformity to the hands and gives back the brightness of youth. -Thalassotherapy sublime: an activator of keratin stimulates and strengthens the nails so they look smoother, brighter and less brittle. How to apply Hand-Absolute Filorga? Hand-Absolute Apply at any time of day using a gentle circular massage on the hands and nails.